Russia are planning to win from 7 to 11 golds and from 27 to 31 medals overall at the upcoming Winter Olympics in Vancouver. Izvestia newspaper claims they have gained access to a document called the “Task Integrated Program”, meant only for internal viewing by the country’s sporting officials. According to the document, the Russian biathletes will be able to win three golds (in sprint, pursuit and relay races), and cross-country skiers will bring two more victories (in men's sprint, relay and mass start). Figure skaters are also expected to show an excellent performance as golds are expected from Evgeny Pluschenko and from one of the pairs in dancing. 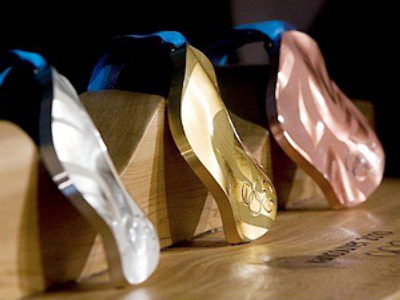 Stakes have also been put on speed skaters (two golds), the bobsled team, and the men's hockey squad. A medal plan was common ahead of every big sporting event and the careers of athletes and coaches largely depended on its fulfillment. However, in recent years, sporting bosses said they gave the tradition up, so the data revealed by the newspaper shows it has not been abandoned. The 2010 Winter Olympic Games kick off in Vancouver, Canada, on February 12.